Phocused Black Star Media is in the development of acquiring several titles under its subsidiary PBS Media Comics. PBS Media Comics business operations are comprised of the development and distribution of our flagship new sci-fi comic book series: “P.B.Soldier” and “P.B. 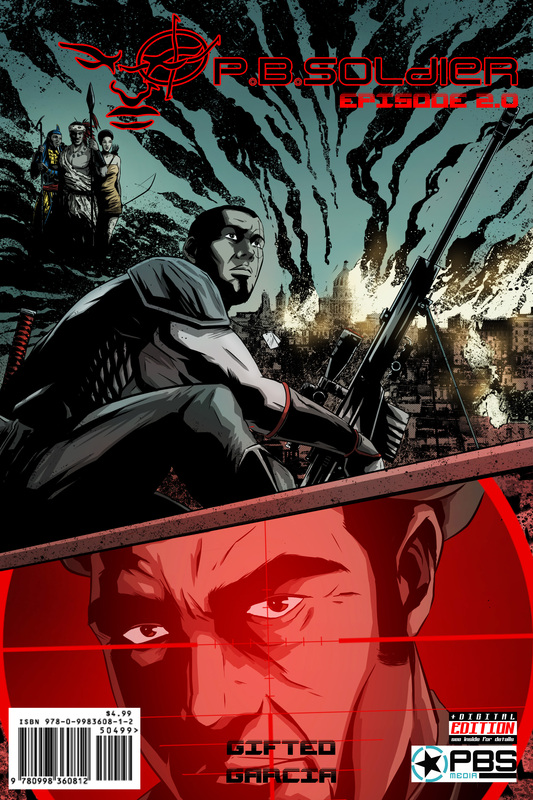 Soldier Unlimited” in the form of comic books, graphic novels and web comics. 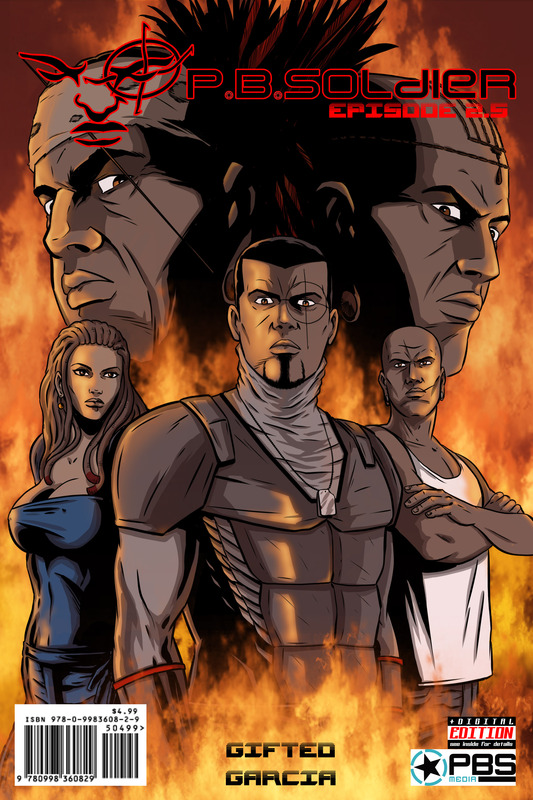 P.B.Soldier comic series is comprised of a thirteen (13) episode saga. It features tales of obsession, revenge and redemption in a dystopian future that is already too close for comfort. It features cutting edge artwork by Abel Garcia (Bad Puppy, Nancy in Hell and Drum#2, 3, and 4) and unprecedented writing by Naseed Gifted. 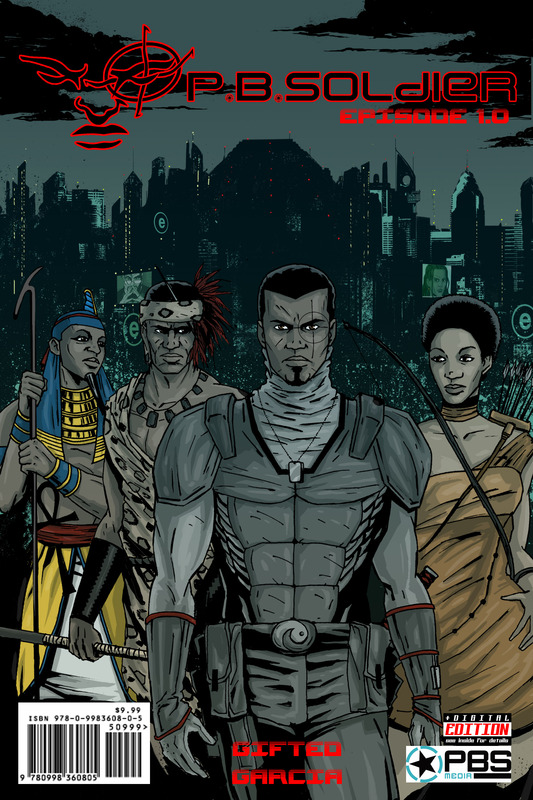 P.B.Soldier portrays a futurist society (Renaissance City) stricken & overrun with terrorism that falls between The Book of Eli and V for Vendetta. The environment within the story serves as an allegory for a dystopian society. These stories aren’t about assassins, but rather about the consequences of human choice and what occurs as a result of these choices. Check out our current P.B.Soldier Comic Books HERE. 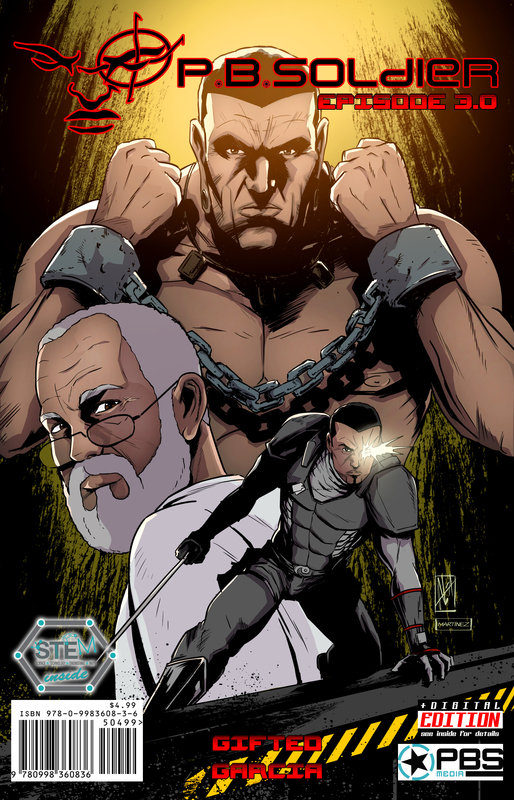 The P.B.Soldier Comic Series is currently available on pbsoldier.com, iTunes, Peep Game Comix and Amazon. Currently available are Episode 1.0 "The Awakening"; Episode 2.0 "The New Revolution, Part 1": Episode 2.5 "The New Revolution, Part 2”; Episode 3.0 "Seek and You Shall Find, Part 1; Episode 3.5 "Seek and You Shall Find, Part 2" (available in September 2017) and two prequels Episode 0.01 “Terrorist Act of 2011” and Episode 0.9 “Jazen’s Last Mission”.